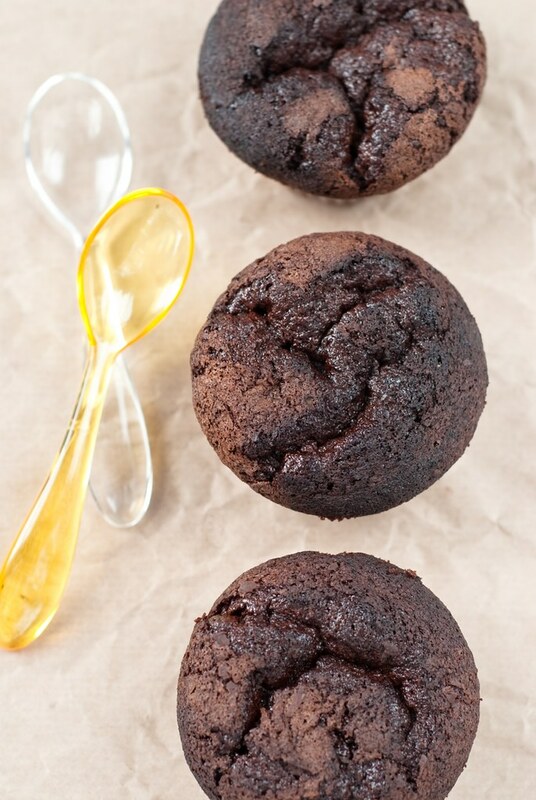 I have decided to find the most moist and heavenly good chocolate muffin recipe. Do you know the feeling when you desperately want something sweet? All this endeavour started one evening (almost night) when I had a pretty large sweet tooth, and I was pretty sure about what kind of sweet tooth it was. However, I did not feel like eating just a plain chocolate. I knew I wanted something baked with a strong chocolatey taste. Normally, chocolate cakes are not my favourite desserts, but this time, I would do anything to get at least a piece of it. The problem was, I did not want just any chocolate muffin or cake, I wanted a deeply chocolate and very moist chocolate dessert. And this is it. 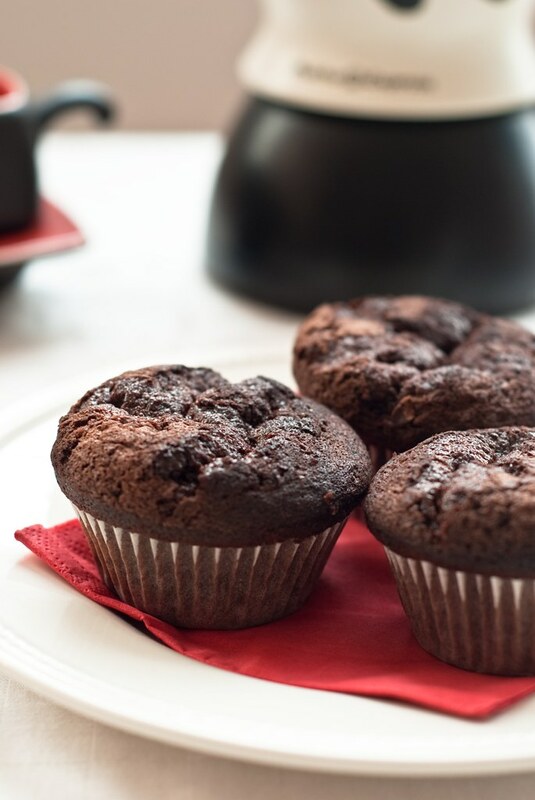 My moist chocolate muffin recipe hunting started here. It was about quarter past ten, but it did not seem to be late enough for me. I wanted to bake something straight away. Finally, I found a recipe, and I ran to a local shop to buy all missing ingredients. Phew! I made it. I was a last customer. After I read the recipe more closely, I realised it was not the one! :( It called for a soured cream, however it was only for an icing. In addition, recipe comments were not the best. Well, I had to start again. I finally found a recipe which seemed to be worth trying in the morning. Now, it was delicious, however not that moist a deeply chocolate as I imagined it to be. What can I do, I have to keep searching and trying. 1 Preheat oven to 175C. Line muffin tin with muffin liners. 2 In a heatproof bowl mix the butter, chocolate and cocoa powder. Set the bowl over a saucepan of simmering water. Heat the mixture until the chocolate and butter are melting. Whisk until fully combined. Set aside to cool, just warm to touch. 3 Mix the flour with the baking powder and baking soda. 4 Beat the eggs in another bowl, add the sugar vanilla and salt and whisk until creamy and fully incorporated. 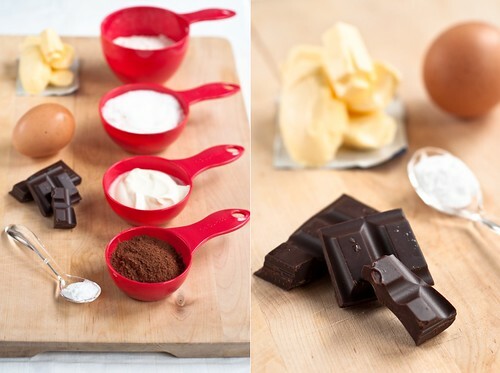 Add the chocolate mixture and stir well. Gradually add flour mixture, one third at a time. Whisk in sour cream until combined and the mixture is thick and creamy. 5 Spoon the batter into the prepared muffin tin. Bake about 18-20 minutes, until the skewer inserted in to the centre of the muffin comes out completely clean. 6 Cool muffins on wire rack until cool enough to handle. 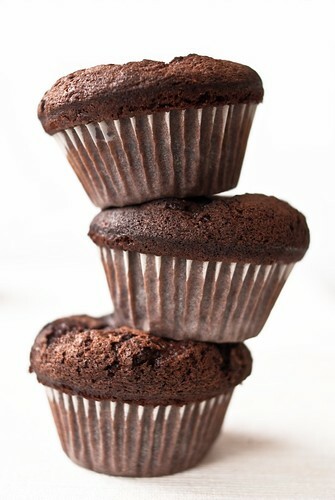 Carefully lift each muffin from the tin and set on wire rack to cool completely.